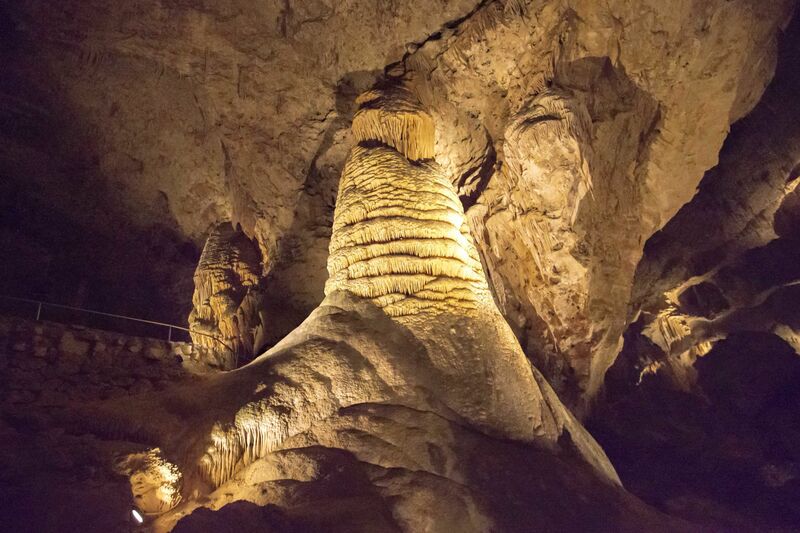 Carlsbad Caverns National Park is in the Chihuahuan Desert of southern New Mexico. It features more than 100 caves. The Natural Entrance is a path into the namesake Carlsbad Cavern. Stalactites cling to the roof of the Big Room, a huge underground chamber in the cavern. Parking available. Fee to tour caverns.